One of Italy’s newest culinary trends is coming from an unexpected source: the country’s Jewish heritage. 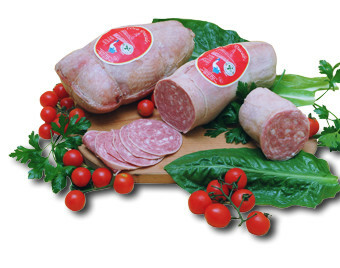 The Cantone family, which has been producing goose salami for more than 40 years, wrote in its website that the connection between the area of Lomellina, Italy and the sausage is dating back to the 11th century. Today, Italian goose salami is becoming much more popular, and even has a group of aficionados. For the last three years, The Brunoldi Ceci Association organized an annual “Jewish Style Lunch” in Lomellina to showcase the trend, with the help of other institutions, such as the Order of the Frog and Goose Salami of Lomellina. In the latest event, last November, the attendance more than doubled compared to the previous year: about 100 participants, 80% of whom non-Jews. Except for Moro, the president of the Jewish Agency in Italy, Claudia De Benedetti, was also present. This event is part of the “Traditions and Traces of Jewish Cuisine” initiative, which focuses on the strong link between Northern Italy, in particular the area between Milan and Turin, and the tradition of making goose salami. Locals showed strong interest in this tradition, as they have finally discovered the origin of the “Jewish Pork,” which they have been eating for centuries. The lunch began with an appetizer of goose liver and salami. A goose and bean risotto constituted the first dish, and stewed goose with polenta was served as the second. The meal was accompanied by kosher Italian wines: Bonarda Croatina, Bonarda Donelasco and Barbera del Monferrato Kasher. Topping off the meal was the traditional Krumiri, a biscotti home-made by the Rossi-Portinaro family since 1878. The event was concluded with a guided tour of the Synagogue of Casale Monferrato.